Man of the moment Gavin Cromwell will bid for another big race success when Ciao represents him in the €100,000 Tote Irish Lincolnshire at Naas on Sunday. The four-year-old, who will have the notable assistance of Chris Hayes, is among a full field of 20 for the feature race on the opening day of the 2019 Irish Flat season. 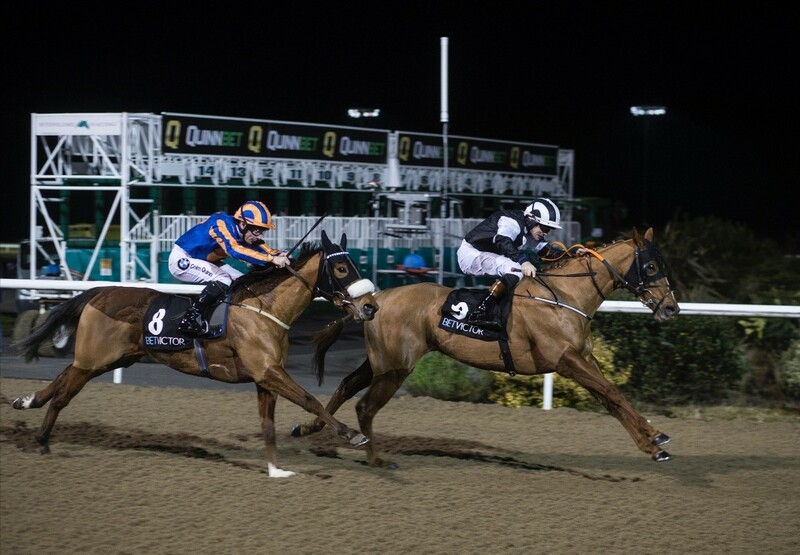 Ciao is among several runners with a notable fitness edge as she has been in action at Dundalk in recent months, winning two of her last three starts. Her latest success on the polytrack came just nine days ago and her Champion Hurdle-winning trainer reports her to be in good shape as he goes in search of another big high profile success. "She is going into the race off the back of a win at Dundalk so she is obviously in good form," Cromwell said. "It is a little bit of an unknown about the ground but she is in good nick and hopefully she will run a good race. I don't think dropping back to a mile will be a problem for her." Another who comes here in excellent shape from a winter campaign at Dundalk is Theobald who will bid to give Jim Bolger his first Irish Lincoln victory since Cielamour in 1990. Meanwhile leading English trainer Richard Fahey saddles three horses in his bid to become the first overseas trainer to lift this prize. Ger Lyons, who was successful with Brendan Brackan in 2017, saddles two horses headed by the interesting English recruit Karawaan while Aussie Valentine heads a two strong assault by Adrian McGuinness as he looks to reach the frame in the Lincoln for the fifth year in succession. Young trainer Damien English will be hoping to strike gold with another of his bargain buys. Trading Point makes his debut for the trainer since his 6,000gns purchase last autumn and English reports the three-times winner to be in good shape for his first assignment since June. English said: "He is a lovely horse and he hasn't put a foot wrong since we got him. He was a colt when he came to us so we gelded him straight away and he has settled into the routine here lovely." "He is lacking a recent run but so are a lot of the runners in the race and he is as fit as we can have him. He goes to the beach three times a week, does a gallop away from home and does a bit of swimming. We are still pinching ourselves to think that we've got him for six grand. We definitely think there is a Premier Handicap in Trading Point so whether it is the Lincoln or not we'll have to find out on Sunday but he should win a big pot this summer." Earlier on the eight-race card the classy Yulong Gold Fairy will look to give Dermot Weld back to back successes in the Group 3 Lodge Park Stud Irish EBF Park Express Stakes. The four-year-old ended last season with a victory in the Group 3 Concorde Stakes at Tipperary. Her eight rivals include the fellow Group 3 winner Ellthea who is one of three runners for Fozzy Stack while the Ryan Moore-ridden Galway maiden winner Delphinia will bid to give Aidan O’Brien his first victory in the race since Kitty O’Shea struck back in 2005. Aidan O’Brien does supply one of the most interesting runners of the day in Amadeo Modigliani. The former leading classic hope lines up in the first renewal of the Listed Devoy Stakes on his first appearance since running out an impressive winner of a Galway maiden in August 2017. An action-packed afternoon at Naas will begin with the first race at 1.30pm which is the Irish Stallion Farms EBF Maiden for two-year-olds. Racegoers to Naas on Sunday will get the opportunity to witness six champion jockeys plying their trade. Ryan Moore takes a number of rides for Aidan O'Brien, while also riding at Naas on Sunday is the twelve-time National Hunt jockey Ruby Walsh who has a rare ride on the Flat in the Kildare Post & Kildare Now Maiden over six furlongs. Twice British champion jockey Paul Hanagan is over to ride for Richard Fahey while Irish champion jockeys Donnacha O'Brien, Colin Keane and Declan McDonogh are all in action. Naas Racecourse is also delighted to announce that leading jockey Chris Hayes will be teaming up with Naas to write a regular blog for naasracecourse.com throughout the 2019 Flat season.